The Supreme Court has declined to take on a case revolving around a $30,000 treehouse in Florida, it was announced on Monday. 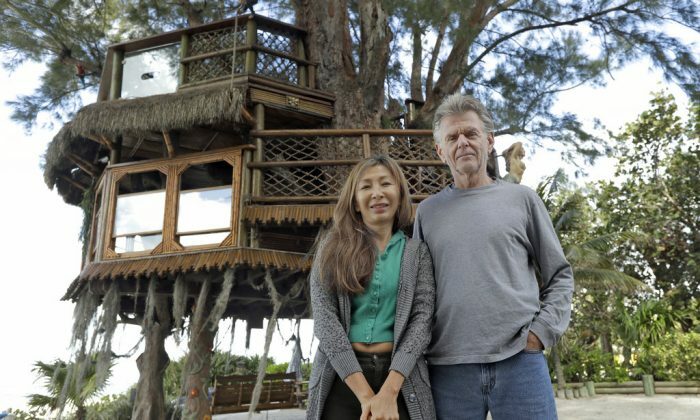 Lynn Tran and Richard Hazen, of Holmes Beach, have constructed a treehouse fit for a magazine. It features two stories, a number of hammocks, and windows looking out on the Gulf of Mexico. Passersby often stop and examine the beachfront structure, and the couple loves to relax in it. But the relaxation has turned into stress after Holmes Beach officials ordered the structure taken down. Tran and Hazen say they asked the city in 2011, before construction started, whether they needed a permit to build the treehouse. The answer was no. They then reached out to the online community to help them plan the structure. “It’s a work of love, it’s a work of art for us, it’s fun a thing we always dreamed of having,” Tran told the Manatee County News. After it was built, though, local officials took note due to an anonymous complaint. After learning the treehouse is actually situated in an area where building is prohibited because of a city setback, officials ordered them to take it down. According to Manatee County News, building official Tom O’Brien said whatsaid the couple’s building became so large that it’s more than a treehouse. “Poorly-constructed, poorly-secured building elements become flying debris and presents a clear and present hazard,” said O’Brien. The couple’s lawyer, David Levin, said the couple’s rights were violated when a Florida court “rubber stamped” the city’s decision as opposed to bringing in independent consul, according to the Associated Press. Levin and the couple wanted the Supreme Court to hear the case, but the court announced on Monday that it wouldn’t.